If you can’t get to Rio for the Olympics and are stuck back in London, you can still soak up the atmosphere of the games and Brazil at the Rio Olympic Lounge that is located in the Brazilian Embassy, just off Trafalgar Square (14-16 Cockspur Street. SW1Y 5BL). Entry is free and the lounge is open Monday to Saturday from 10.00 and 19.00 from 6 to 21 August. 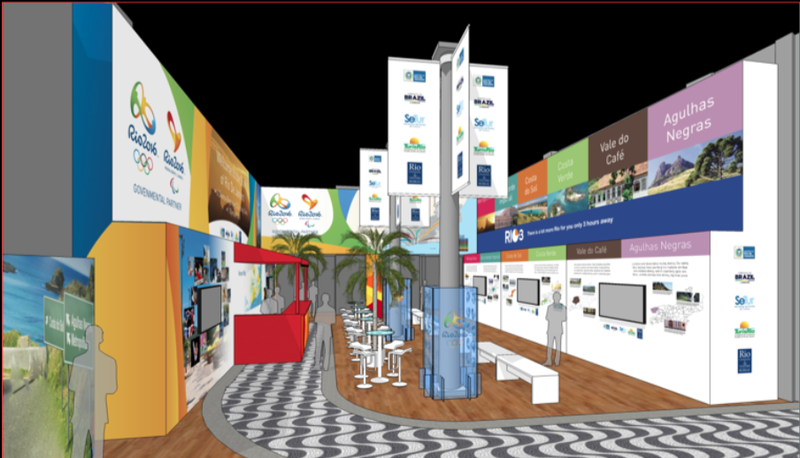 The Lounge showcases what lies beyond the city of Rio, and shows the state of Rio’s many other attractions. Basically where the residents of Rio – the Cariocas – head out to to have even more fun (if that is possible) at the weekends. Some even live there and go to Rio for the weekends! If you are in Rio for the Olympics, you can get more information of what the city and state of Rio has to offer from the Visit Rio and TurisRio stands in Espaço Rio de Janeiro located at the Olympic Boulevard, at Orla Mayor Luiz Paulo Conde in the port area. This entry was posted in Olympic News and tagged 2016, Rio de Janeiro, Rio Olympics, Rio the Guide by Critical Divide. Bookmark the permalink.